Het Grachtenhuis is a picturesque museum that offers a closer look into the history of the majestic canals in Amsterdam. Visit the destination and take a walk through history. The destination gives the visitors a chance to get to know the city of Amsterdam a bit better through the use of Audio and visual guides that will give you all the information that you will require. A fun and learning experience is what the place offers. How popular is Het Grachtenhuis? People normally club together Tassenmuseum Hendrikje and Hortus Botanicus while planning their visit to Het Grachtenhuis. People also prefer to start their day with Het Grachtenhuis. I went there with my nine year old son, and we both loved it. That fact that it's small doesn't mean it isn't interesting, because it really is, not in the least because of the audio/visual tour. It makes for a fairly short but nice visit. Well worth it, with friendly and helpful staff as a bonus. Well thought out museum. Informative of Amsterdam's development. Comfortable and relaxing place to visit. Good example of a grand house. Photos supplied are views of surroundings. 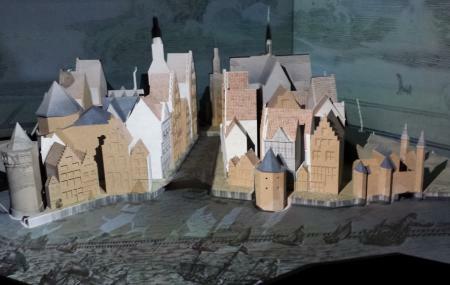 The Canales Museum gives good insight on how Amsterdam was constructed. It makes the history very visual and simple to understand, from videos to holograms. You can see that a lot of details and technology has been invested in the museum. The museum has kept the original house interior and garden. The museum has a nice shop. The museum is equipped with coat hangers and lockers to use by visitors. I've deducted one star because of the high price. You pay 15€ pp for a 45 minute tour. Modern interactive exposition, general information about city history and construction. But I expected some more engineering details. In addition just beautyfull historical interiors on the ground floor. Great resource. Really interesting, worth a visit to understand why and how Amsterdam was built. Knowledgeable staff. Gorgeous house and garden.